NAS to NAS sync will save your a lot of time and energy of transporting data. And once you change the file on the source NAS device, the file on another NAS will be changed too. NAS, the short of network attached storage, is a kind of storage device. 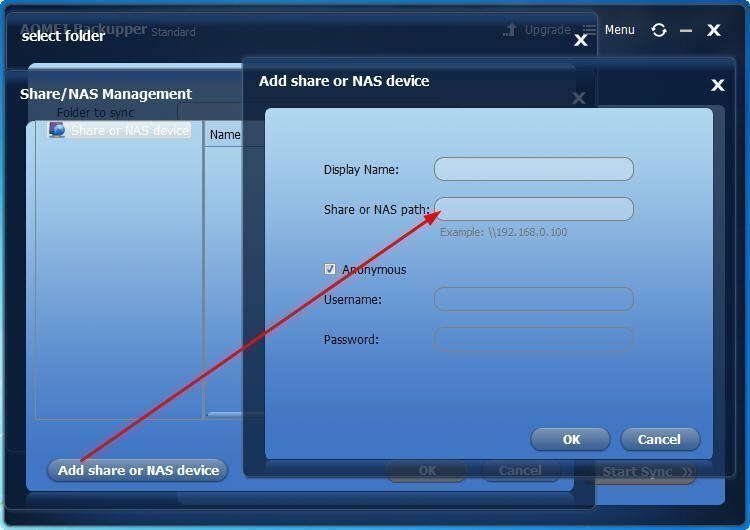 All the individual users can share data on the NAS device. When you use two NAS devices and you want to keep the data same with each other, sync one NAS to another NAS should be the best way. Speaking of “Sync”, here you may would like to know “Backup”. Backup is a kind of copy to the data and it has a backup image, once your data need to be recover, you can use it to recover the lost or damaged data, and because of so, users always backup NAS to NAS to keep data’s safety. While Sync can also make a replication for your data, with no image file, and you can use it directly. Thus, NAS to NAS sync is much more popular. How to synchronize NAS to NAS? 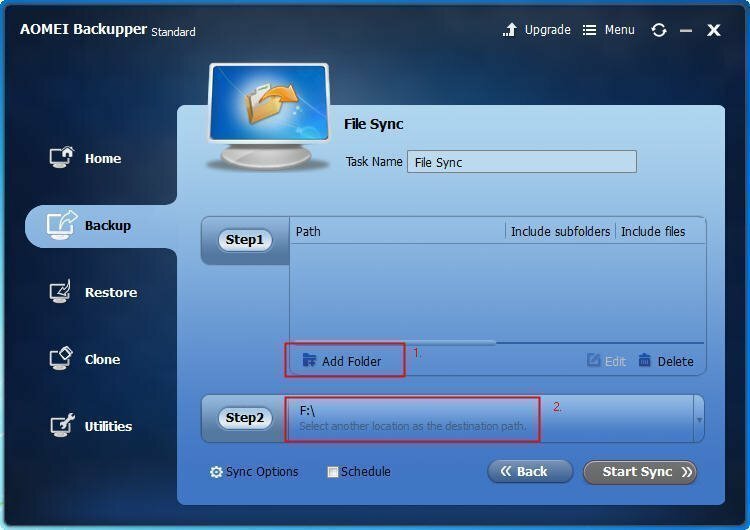 NAS to NAS sync is very convenient for business using. And to sync NAS to NAS isn’t an easy thing. But if you find the right way, it could do less for more. What should be the best software for you to finish it? Step1. Download the freeware, install and launch it. 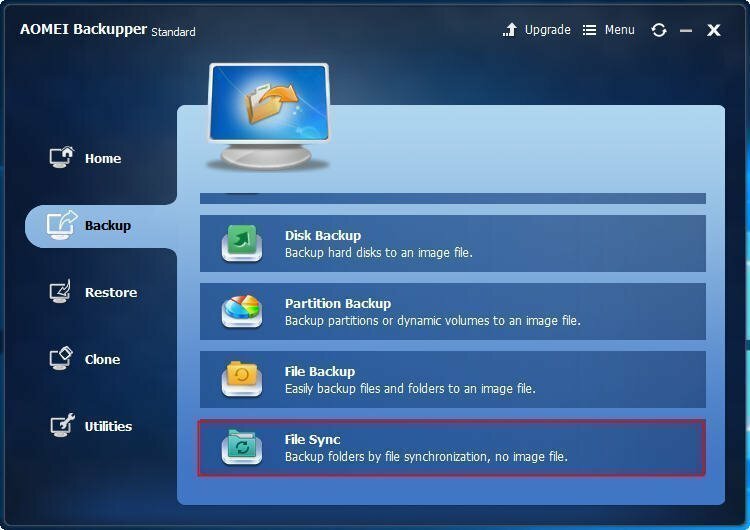 Click Backup at the left pane, roll the bar and select File Sync. Step2.It will show you the interface of File Sync. Select the source party and the destination party here. Click Add Folder, and click Browse at the pop out window. Select Share/NAS. 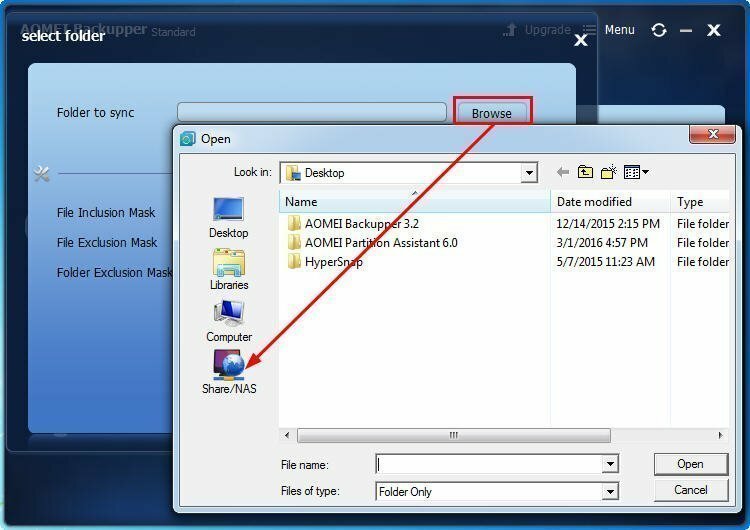 Click Add share or NAS device, type the IP address of the NAS device. If necessary, input the username and password. Click OK. Select folder on the NAS device. Click OK.
Then, you will back to the interface of File Sync. 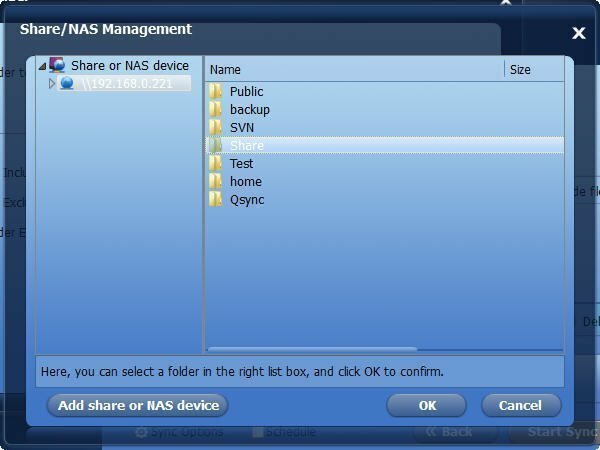 Here you should click Step2 to select another NAS device as the space to sync the NAS to. Do as the steps of adding NAS as the source party, just type another NAS device’s IP address. Step3.After all the settings, click Start Sync to launch the progress. And when it’s done, click Finish to exit. Sync Options is for you to add comments to distinguish the task from others. Schedule provides you to set up an automatic sync for daily, weekly, monthly and event triggers. AOMEI Backupper is such an amazing software which can not only help you sync NAS to NAS, but support you sync two folders. It is also a powerful backup software for keeping your data safe. Such as backup computer to NAS, backup system, transfer OS from one hard drive to another, etc. It is worth to use for its features and its free.